Cosmetic fillers are very effective non-surgical solutions for facial volume issues such as hollow under eyes, lip enhancement, cheek definition, the lack of chin projection, and other problems related to genetics or age-related volume loss. Cosmetic fillers can also treat other issues such as wrinkles, lines, and folds as well as acne scars, and even thinned earlobes. Although filler can be used for many situations, some people have reservations about filler treatment because of longevity, and concerns about putting something they think is not natural into their body. I’ll discuss how I counsel my patients who have the same questions and concerns about fillers. Cosmetic fillers are a popular non-surgical procedure to add youthful looking volume. 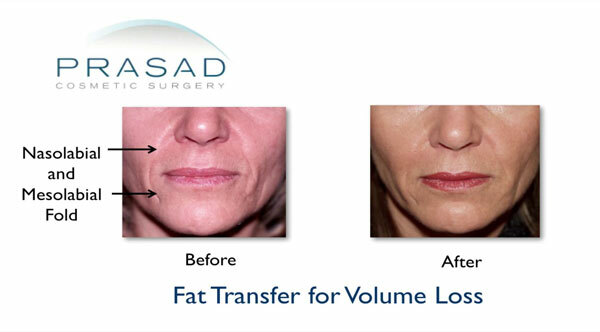 People often want to improve their appearance caused by loss of volume. As we get older, our faces gradually lose bone, muscle, fat, and soft tissue. In some younger people, a genetic lack of volume in the face such as in the cheeks and eyes make them look older and more tired than they actually are. 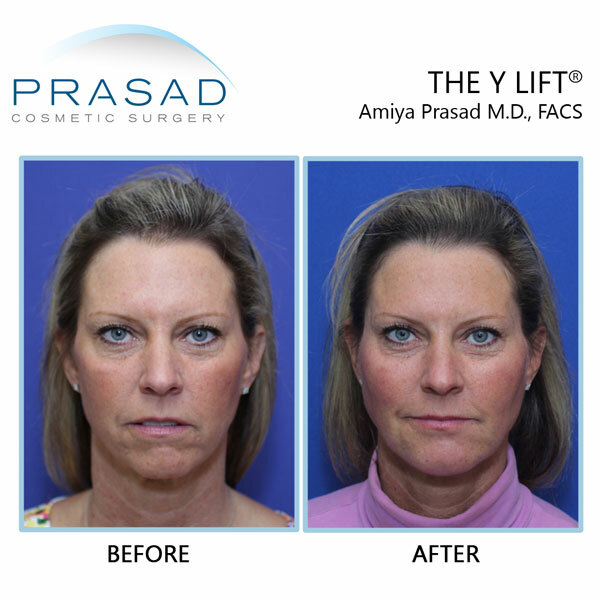 Facial volume loss can also be seen in people who are very athletic who have very low body fat, or if you ‘ve lost a lot of weight from diet or weight loss surgery. A lot of people who we see come in requesting fillers which are permanent so they can avoid having to come back regularly for filler placement. In my surgical practice, I’ve had patients come from around the world to have me remove permanent and semi permanent fillers such as silicone and polyacrylamide. 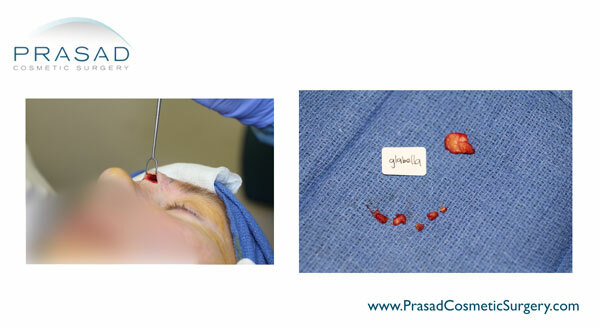 In addition, if an infection such as a biofilm were to occur, the filler would have to be removed surgically. The reality is that you can never completely remove all the filler, which means that recurrent infections would be likely. In my practice, for any procedure, my recommendations are based first on minimizing risk, and being able to address any issues that may arise quickly and safely. I don’t recommend the use of permanent or semi-permanent fillers. Further, as aging progresses, these fillers will not easily adapt to changing anatomic relationships. There are more than a few celebrities who have publicly expressed regret about having permanent fillers, particularly in their lips. Permanent and semi-permanent fillers require surgical removal, and it’s likely that not all the filler material can be removed. 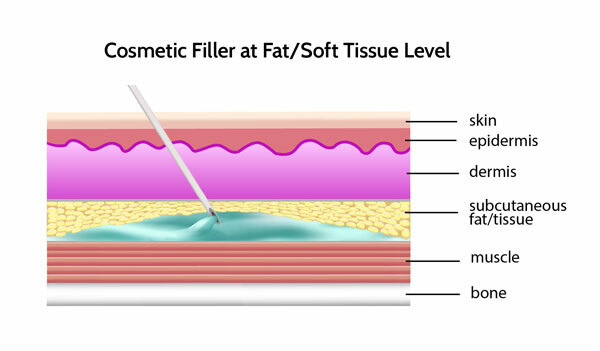 In any discussion about a natural filler, the subject of fat grafting always comes up. In order to address facial volume loss at the bone level, fat grafting cannot be used. Fat grafting is placed under the skin, which makes it similarly susceptible to the same issues as superficial filler placement. Healing from fat grafting is unpredictable with frequent complaints about lumpiness and asymmetry. Fat grafting does not meet my criteria for predictability and benefit from placement at the bone level. Fat grafting can be done underneath thicker skin, but it is a surgical procedure, and some fat will be absorbed by the body, requiring a second procedure. 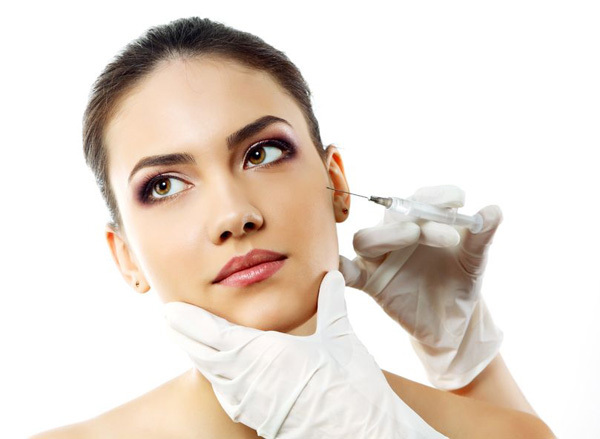 My preferred injectable filler material is hyaluronic acid. Hyaluronic acid fillers meet my criteria for safety, predictability, versatility, and reversibility. Hyaluronic acid occurs naturally in the body, they don’t have the same risk of foreign body reaction like semi-permanent fillers. Hyaluronic acid fillers come in a range of thickness and longevity allowing me creative flexibility to help my patients look their best. Hyaluronic acid fillers are also reversible as they can be dissolved with the injectable enzyme hyaluronidase. Hyaluronic acid fillers can be applied in minutes, without surgery, with thicker fillers lasting 1-2 years. 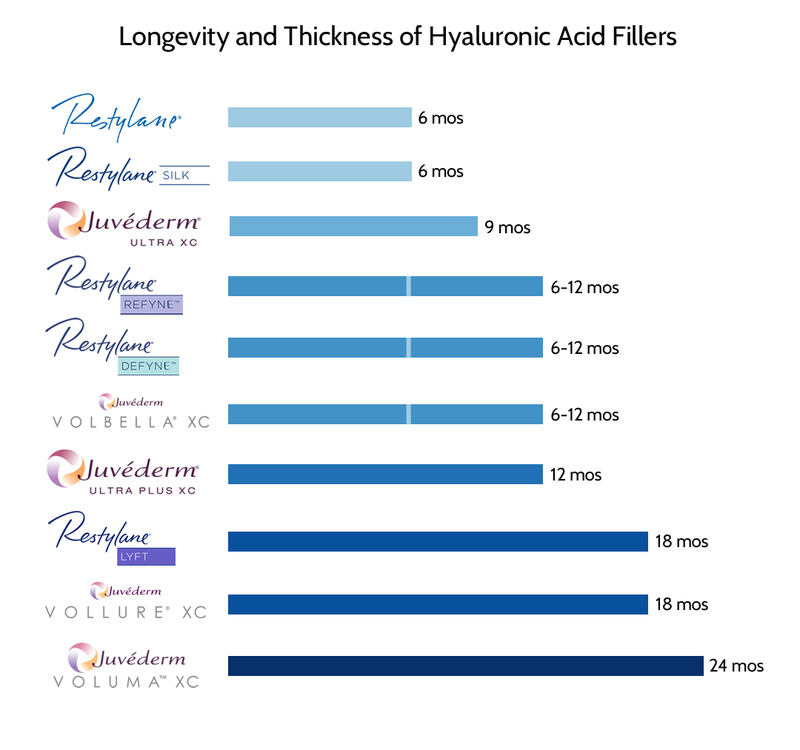 How long hyaluronic acid fillers last depend on the structure and composition of the filler, as well as an individual’s rate of metabolizing the material. I use softer hyaluronic acid fillers in the under eye area for hollow looking eyes, and to camouflage minimal eye bags, and for plumping the lips. These fillers include Restylane, Restylane Silk, and Juvederm Ultra. 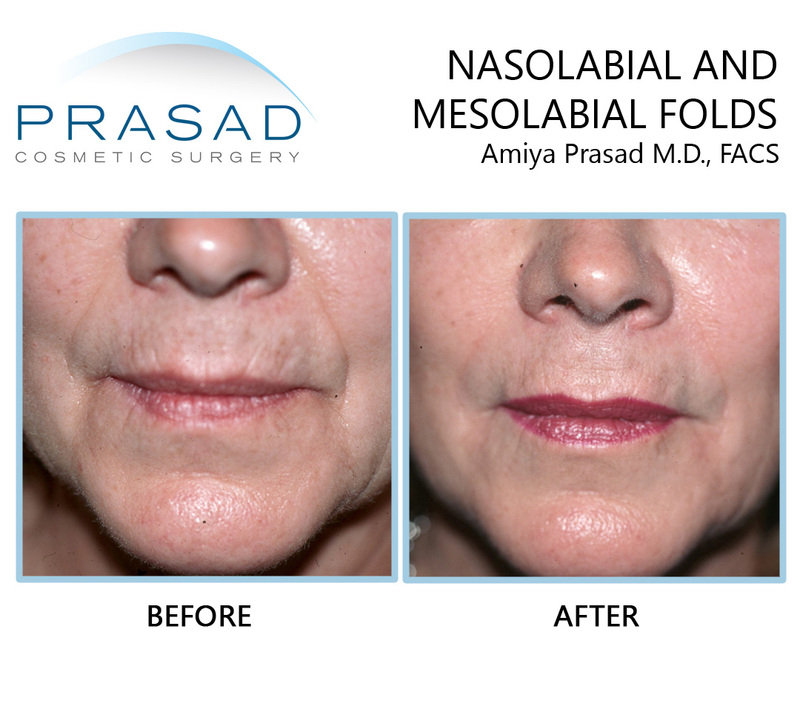 A filler like Juvederm Volbella can can be useful for vertical lip lines above the upper lip. These fillers last anywhere between 6-12 months before they are metabolized, and need to be reapplied. I often combine fillers in the under eye area with platelet-rich plasma, or PRP, which is a concentration of wound healing and growth factors derived from your own blood. PRP helps improve the skin quality and skin thickness under the eyes, as well as discoloration and pigmentation which often accompany hollowness, often described as dark circles under the eyes. 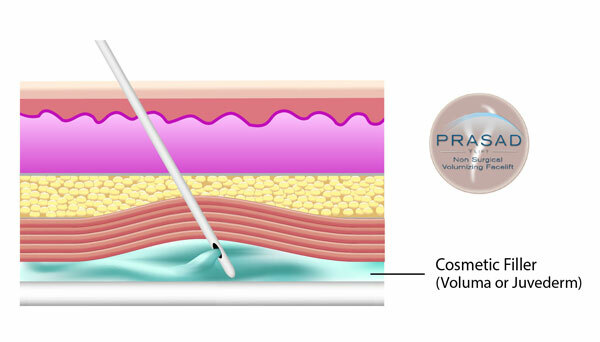 PRP often extends the effective life of filler under the eyes, and the two materials work well together. 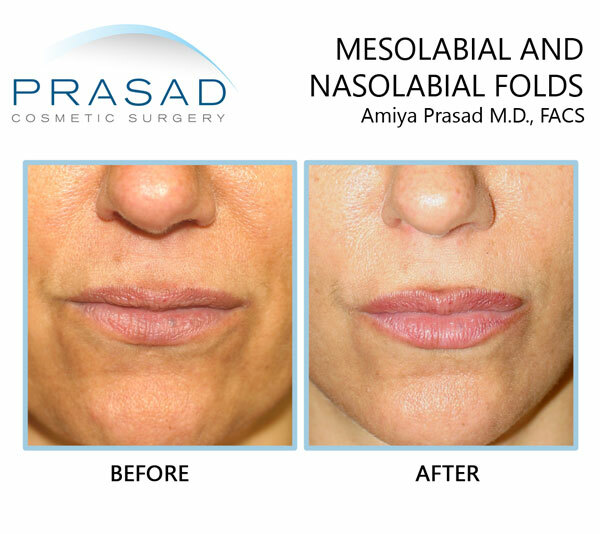 Fillers in medium thickness and viscosity are usually used for nasolabial folds, the folds around the upper mouth and lower nose, often called the parentheses lines; and the mesolabial folds, the folds around the lower mouth otherwise called the marionette lines. These areas have thick skin, but still have a fair amount of movement when smiling and talking. Both these types of folds around the mouth are due to volume loss due to aging. These types of fillers include Restylane Refyne, Restylane Defyne, which last between 6-12 months, and Juvederm Vollure that can last up to 18 months. The thickest hyaluronic acid fillers can be used on bone structure and doesn’t really move with facial expression. Areas where I use these thicker fillers include the upper cheeks, jawline, and chin. These areas are prone to bone loss which naturally occurs with aging. 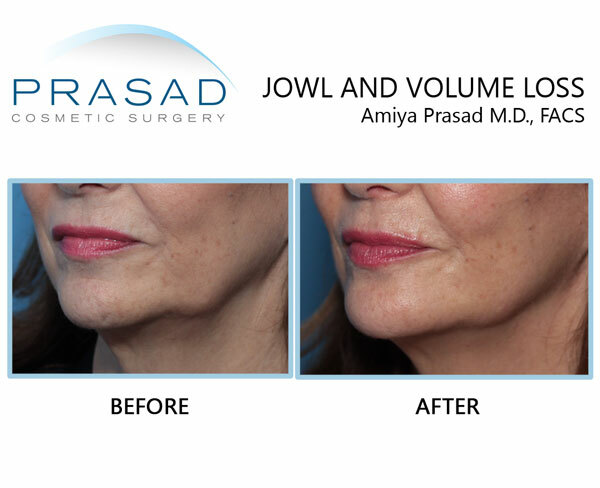 Jowls and jawline continuity can be improved with thicker filler added into the mandibular notch along the jawbone. The cheeks appear to deflate due to the diminishing cheekbone, as well loss of muscle and soft tissue. The jawline may appear to sag and lose continuity due to the hollowing of an area called the mandibular notch. The chin can lose projection as bone diminishes. I prefer to use Juvederm Ultra Plus, which can last about a year, and Juvederm Voluma which can last up two years. Restylane Lyft can also be applied in these areas, and can last up to 18 months. Successful placement of facial fillers for diminishing facial volume at the cheeks, chin, and jawline is highly dependent on technique. 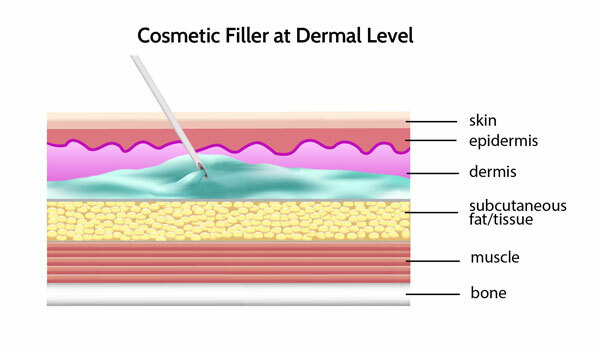 Most doctors place these fillers more superficially at the dermal and fatty tissue layer. At this level the skin cannot support a significant volume can be weighed down. The filler can shift and make the face look doughy. 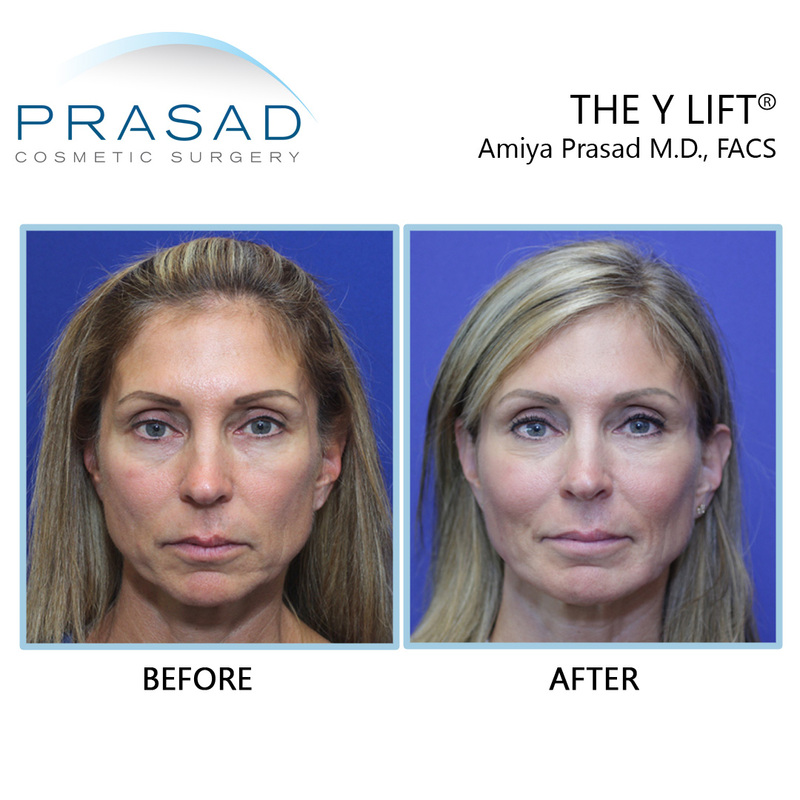 I use my experience as a facial cosmetic surgeon with extensive experience with facial implants to place filler at the deeper layers, atop the bone structure and under the muscle layer for more natural looking results. This technique is called Structural Volumizing, and is practiced by very few doctors. It results in a more defined and balanced facial structure, and can even have a lifting effect. By restoring volume at the bony structure level, the skin and soft tissue that may appear to have collapsed and descended due to volume loss become more defined and the overall effect can produce a vertical lift. Structural Volumizing requires more facial filler than traditional placement as it’s placed at the foundational level of bone e where most of the volume loss occurs therefore, more volume is needed. At this level, results can actually last longer than more commonly performed superficial filler placement. 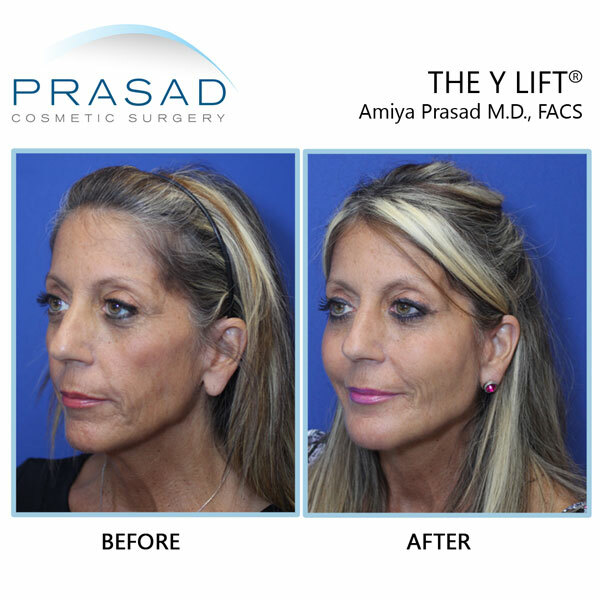 Structural Volumizing/ the Y Lift can place filler between at the bone level, between the muscle layer, which is a much more solid foundation, and the muscle can hold it in place so it looks firm and contoured. This is an exciting time for people interested in improving their appearance with safety, predictability and convenience. 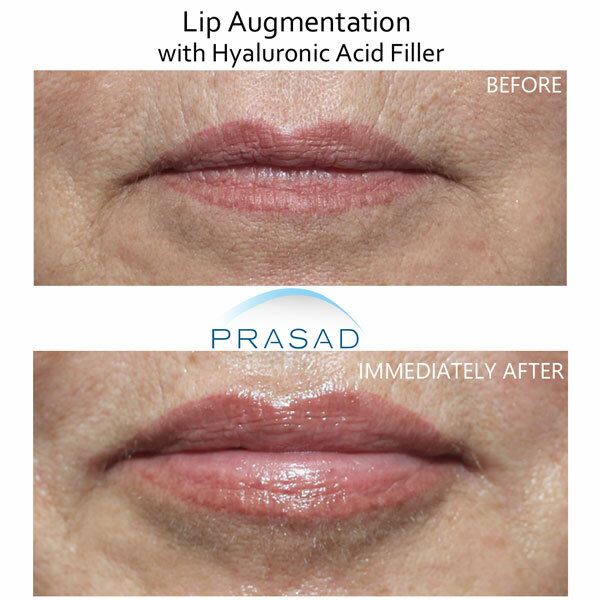 In my practice, the use of hyaluronic acid fillers has been a great tool for me to help my patients. I would remind anyone considering having fillers to understand that fillers are just tools, or materials used in the hands of a sculptor. The doctor’s expertise, experience and artistry are critical to achieve the best results for you. 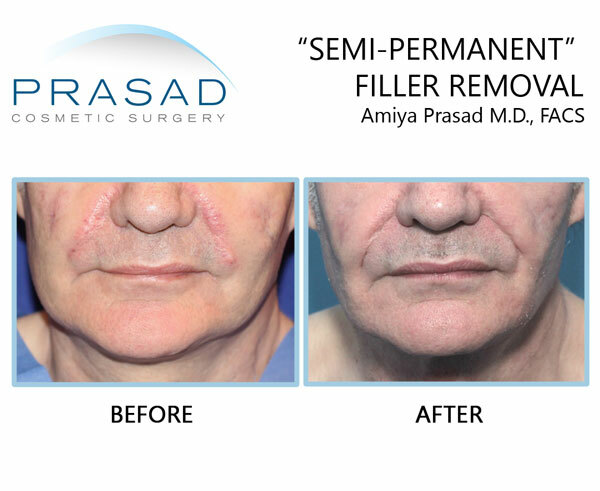 Recognizing that filler placement needs to be done at regular intervals, its very important for you to find a doctor who you feel comfortable with. This means someone who shares your aesthetic vision, who communicates well and makes you feel at ease.